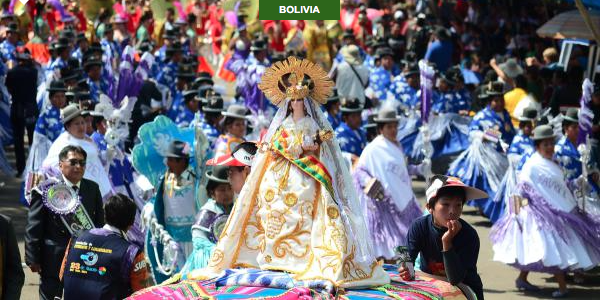 This festival attracts thousands of devotees who come to Quillacollo in Cochabamba, to worship, or ask favors to thank the Virgin every August 15. 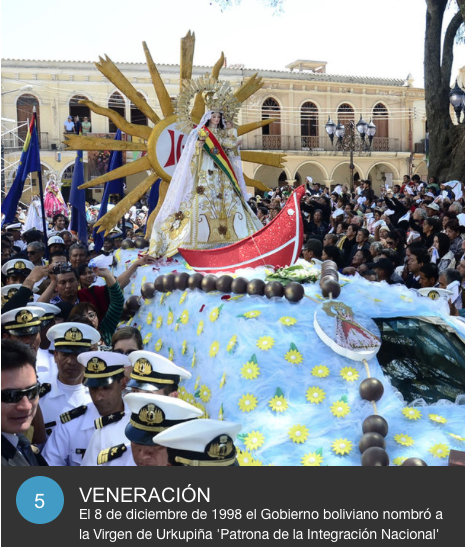 On Monday August 15th, is the celebration of the Virgin of Urkupiña and on the occasion of this feast, we bring seven aspects you need to know about the holiday. If you like the publication, we invite you to share it. 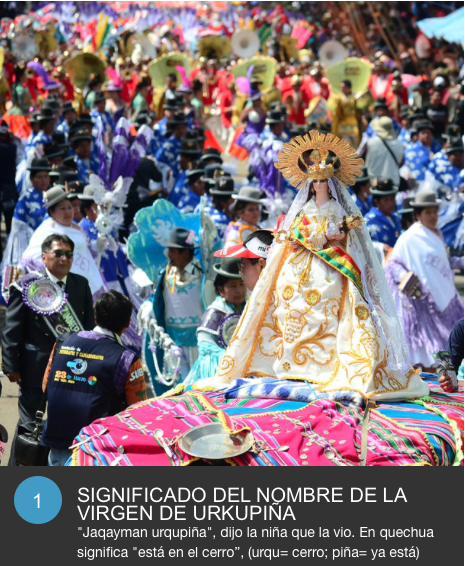 1 Significance of the name of the Virgin of Urkupiña: the girl that saw her, said in Quechua “is in the mountain”. 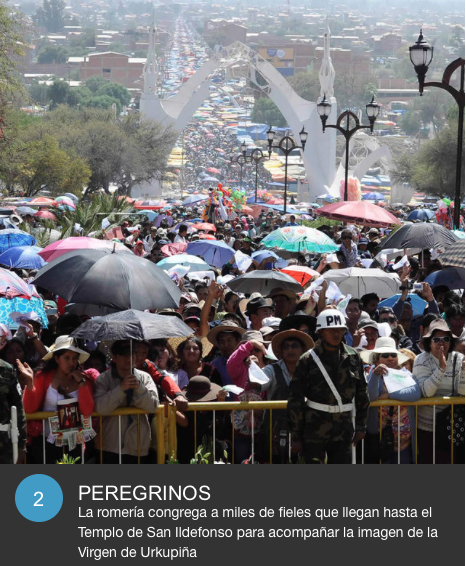 2 Pilgrims: the pilgrimage composes of thousands of devouts that arrive to the San Ildefonso Temple to accompany the image of the Virgin of Urkupiña. 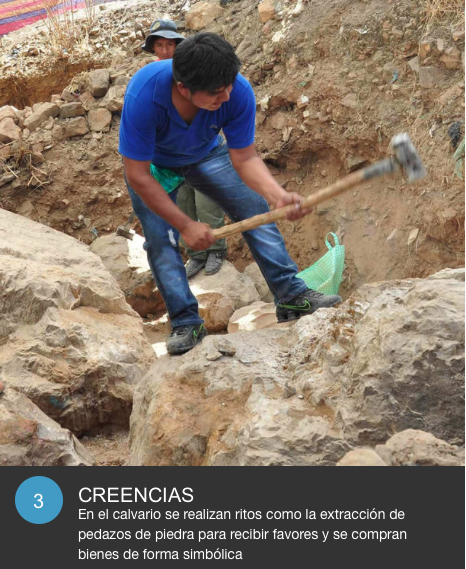 3 Beliefs: on the calvary, rites like extracting pieces of stone are made, to receive favors and goods are purchased symbolically. 4 Hundreds of dancers: a folkloric event is lived every August 14th with hundreds of dancers that give homage to the virgin. 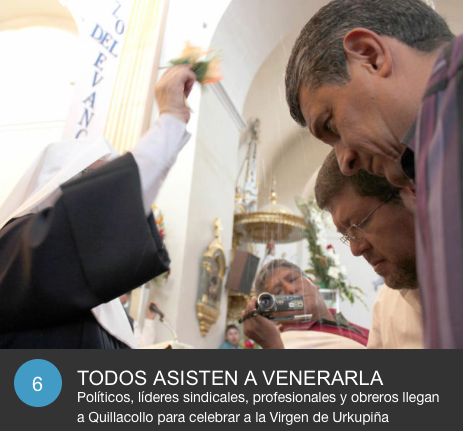 6 All attend to venerate her: Politicians, union leaders, professionals and workers go to Quillacollo to celebrate the Virgin of Urkupiña. 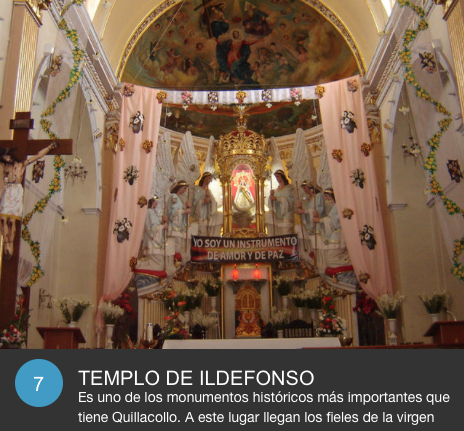 7 Temple of Ildefonso: Is one of the historic monuments more important that Quillacollo has. To this site, arrive the virgin’s devouts. 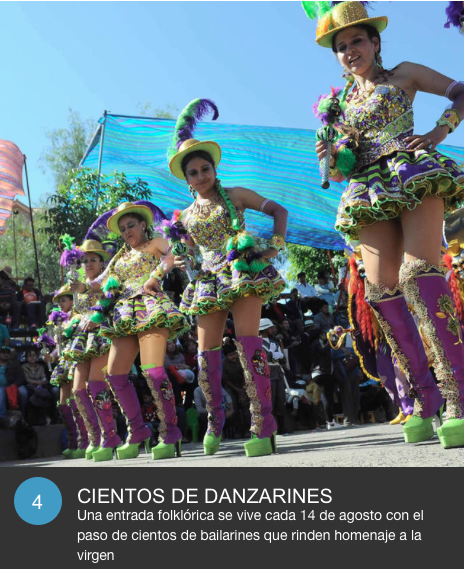 This entry was posted in Bolivia, Cochabamba, Holidays, Tourism and tagged Catholic Festive Day. Bookmark the permalink.